You know how it is, you're packing for your summer holiday (or yet another agonisingly uncomfortable commute) and you're on the hunt for something brilliant to read. 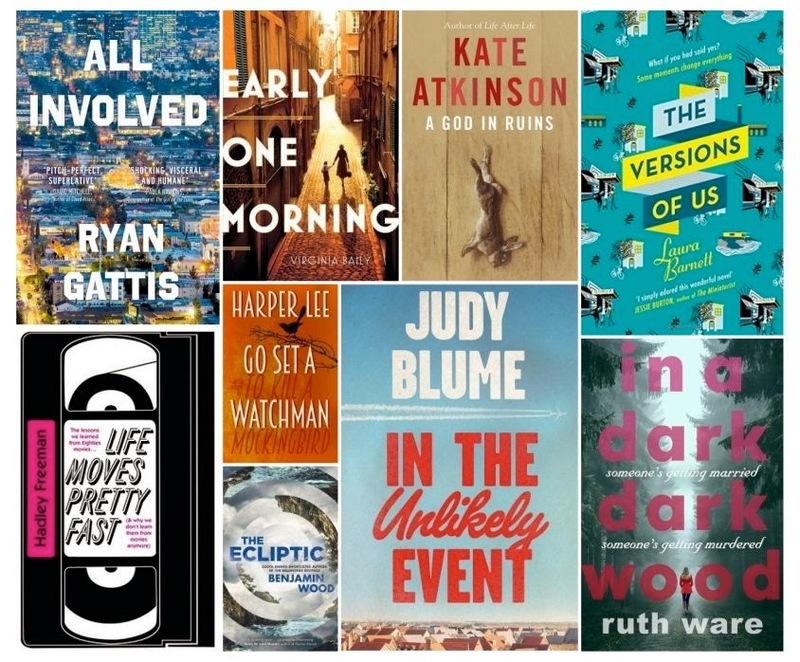 Never fear, here's a list of nine books that you absolutely must read this summer, listed in order of release date. A companion novel, not a sequel, to Atkinson's Life After Life, A God in Ruins is just as magical, although in a completely different, very clever way. Set over six days during the LA riots of 1992, this is a book that deals with gangs, crime, justice and race. It's an intense read for the beach, but really rewarding, utterly engaging and you won't regret skipping a dip in the pool to read this on holiday. Fun, funny and about films from the 1980s, this is perfect summer reading, and will have you stopping regularly to reminisce with friends about your favourite films from that decade. A love story in three parts, Eva and Jim's lives, together and apart, will have you laughing and crying, and will make your heart feel 10 sizes bigger by the end. A wonderful new book by the legend that is Judy Blume, do I really need to say more to persuade you? This book will make your head spin in the best way possible. I'm here for you once you've finished reading. I haven't read the new novel by Lee yet (very few people have) but it's difficult to imagine this won't be a book everyone is taking about this summer. A novel about family and love told in two timelines - the Second World War and the 1970s - Baily's book is heart wrenching, and beautiful. Mystery, mayhem and a hen weekend from your (my) worst nightmares, Ware's tale of friends and foes with murky pasts is addictive reading.